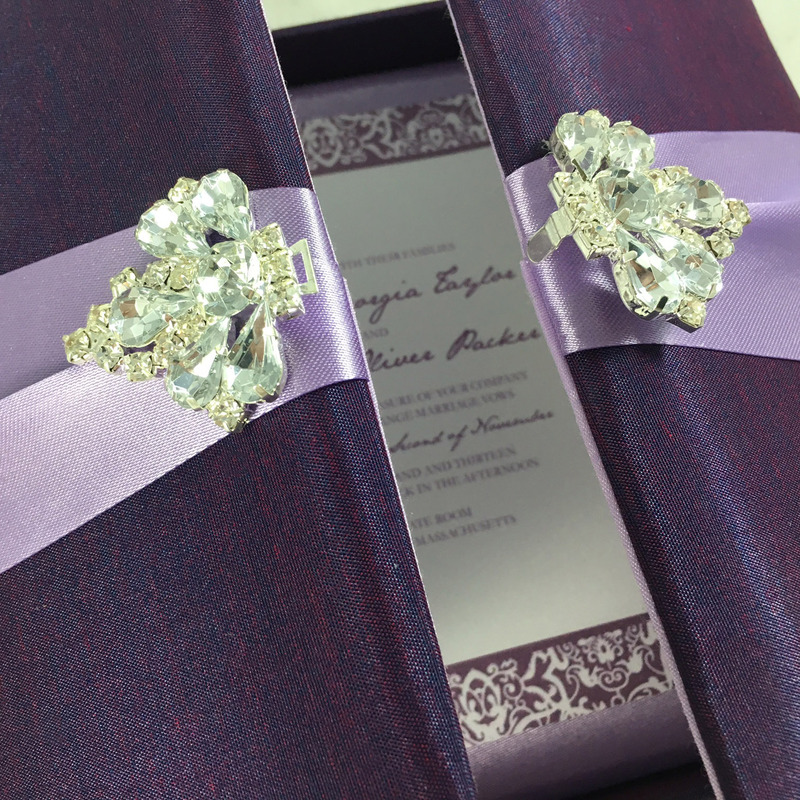 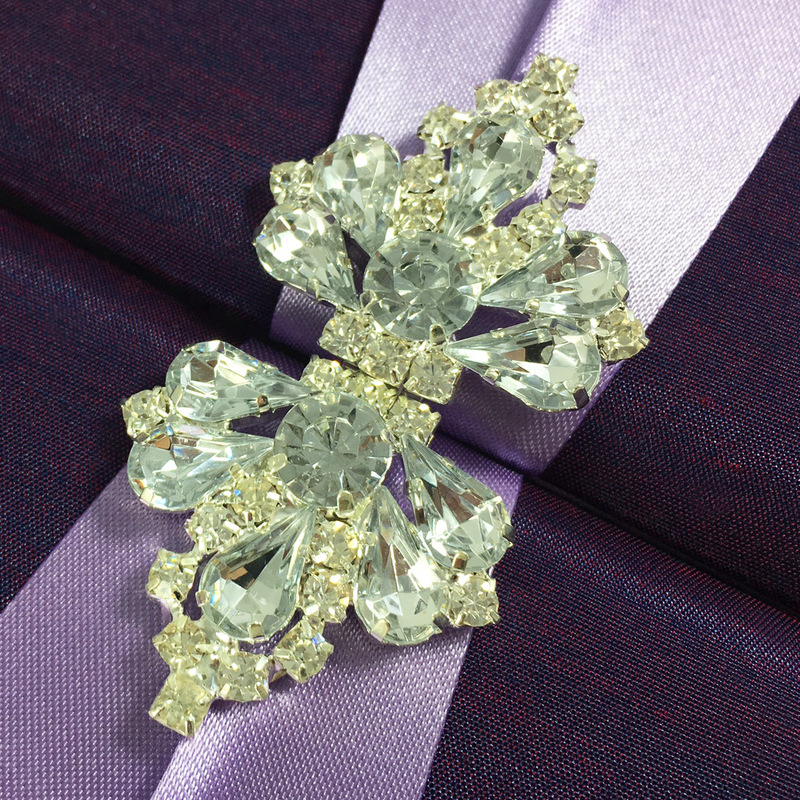 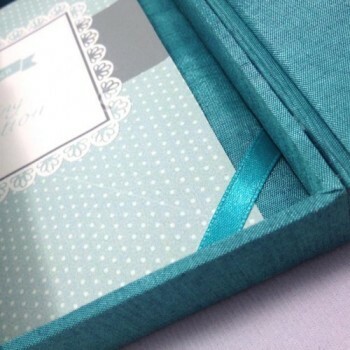 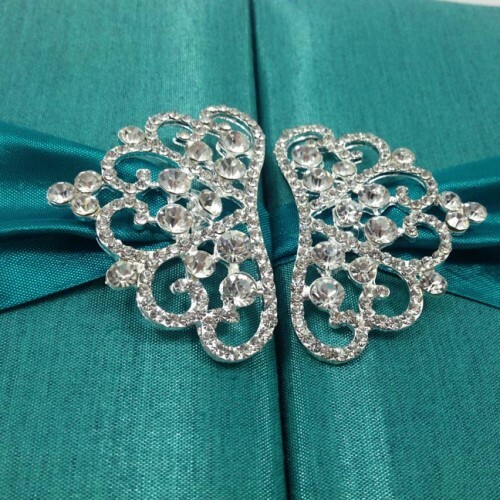 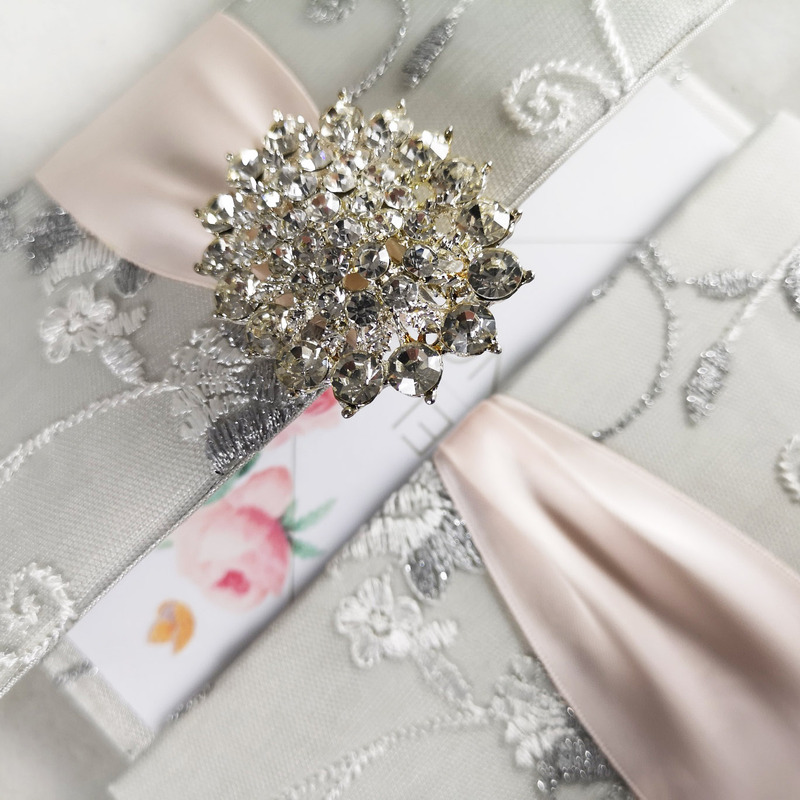 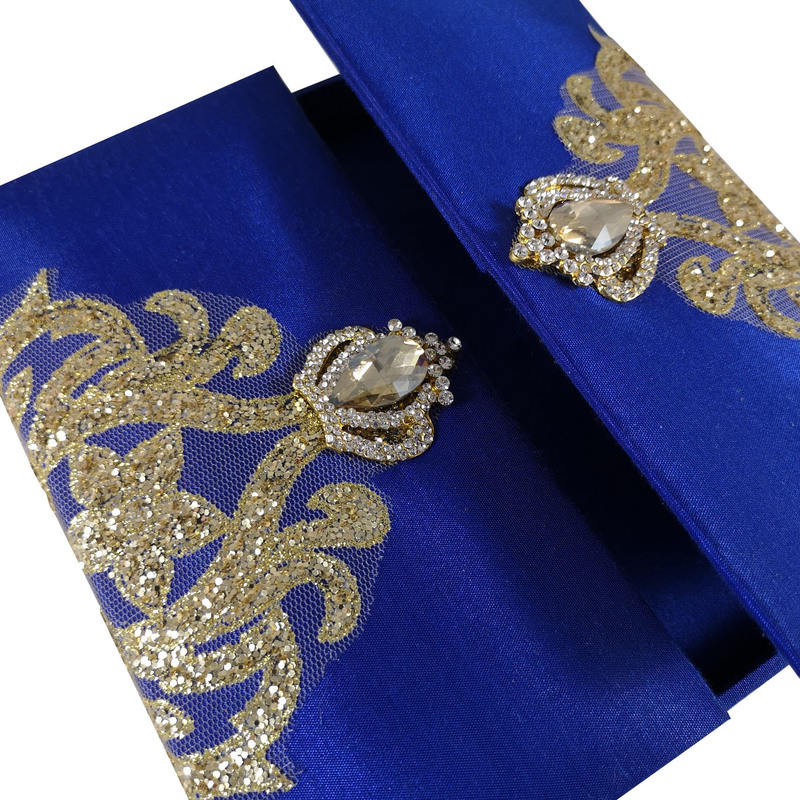 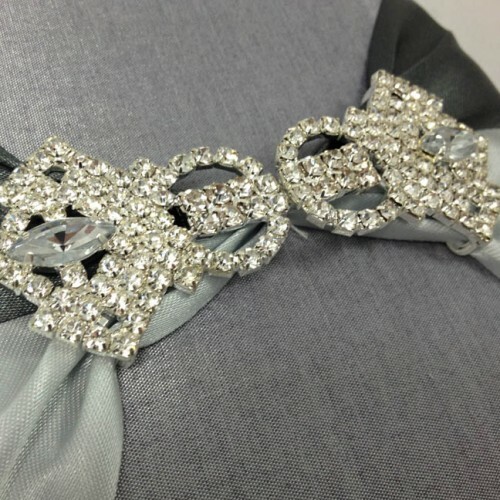 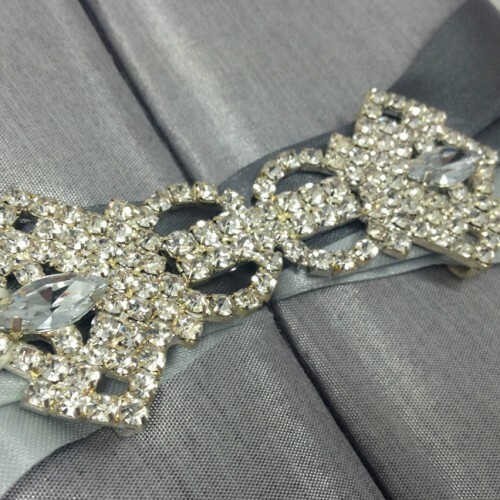 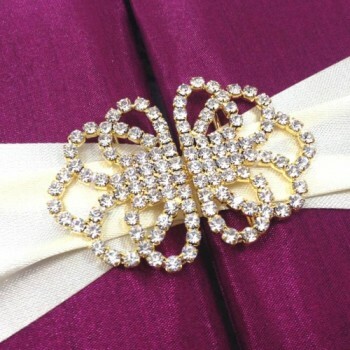 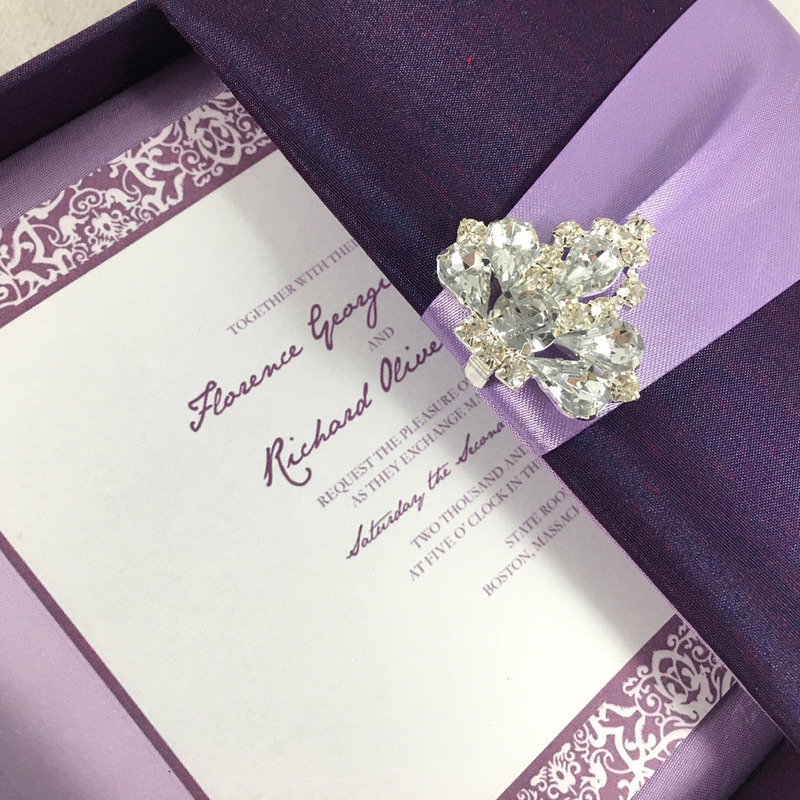 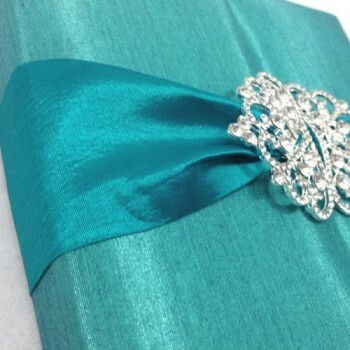 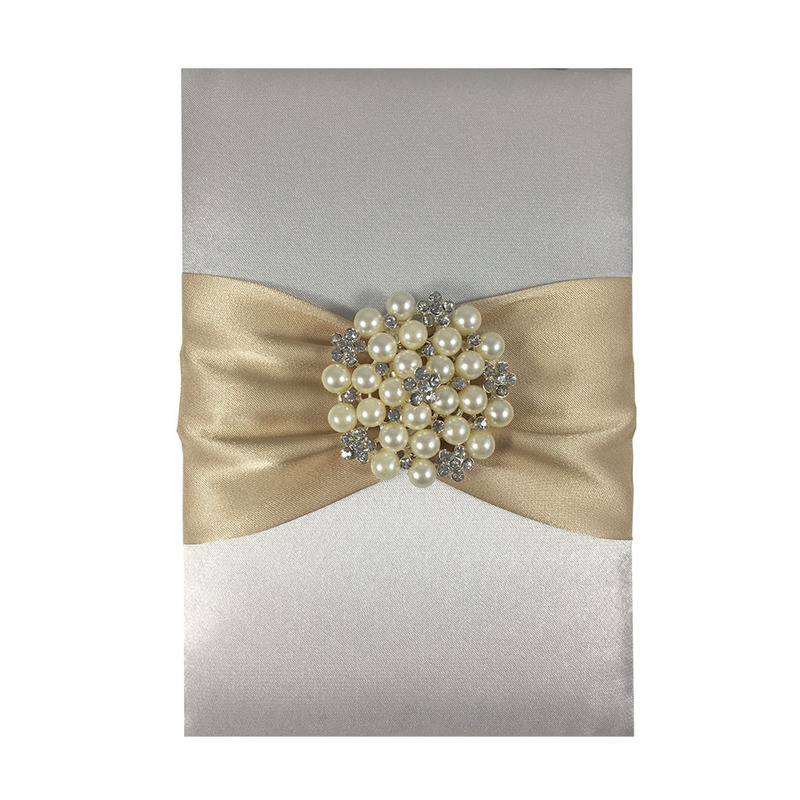 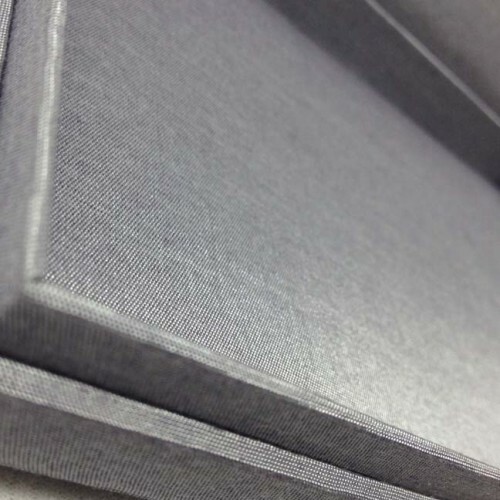 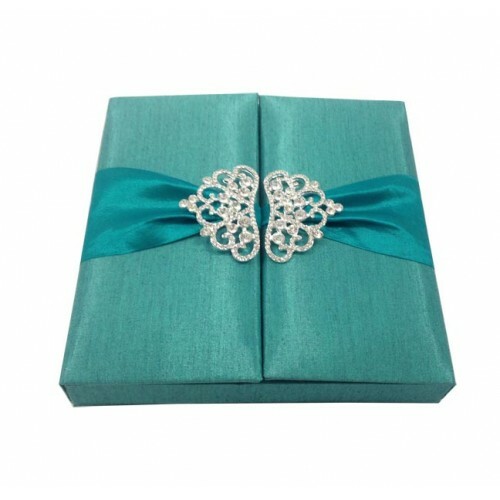 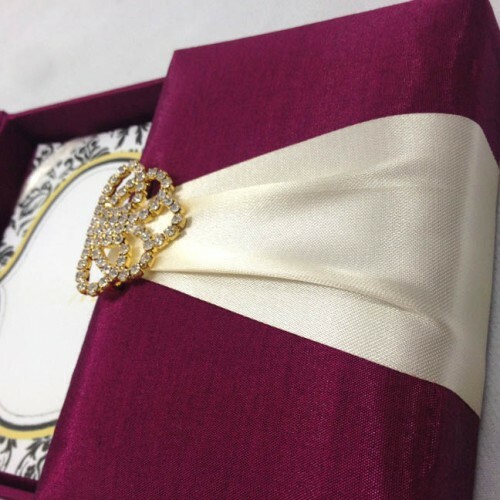 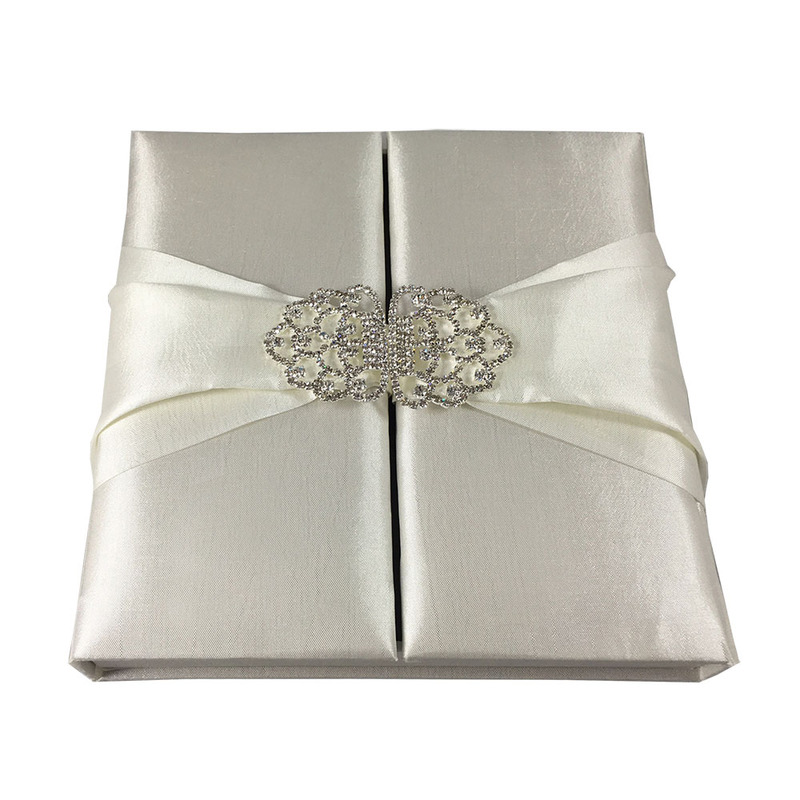 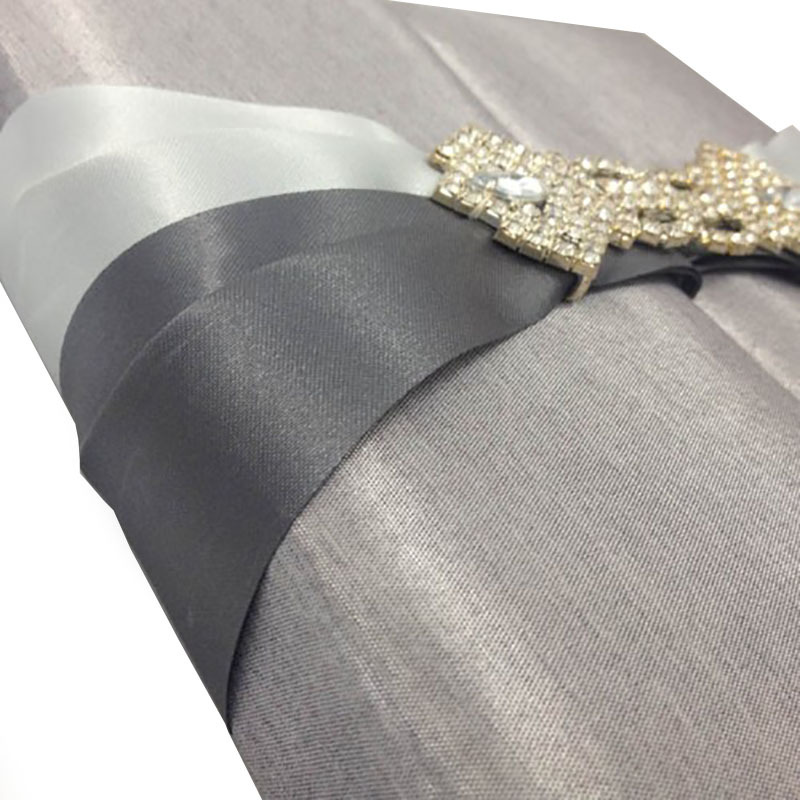 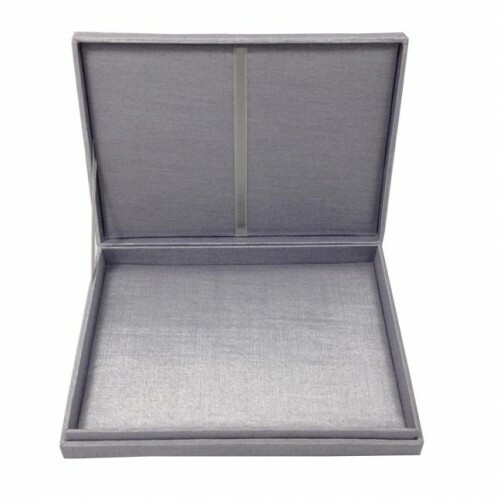 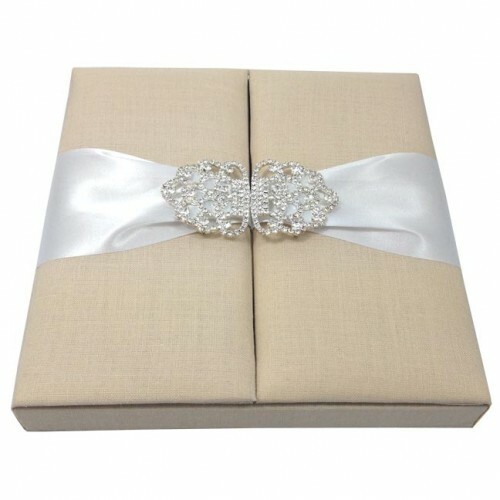 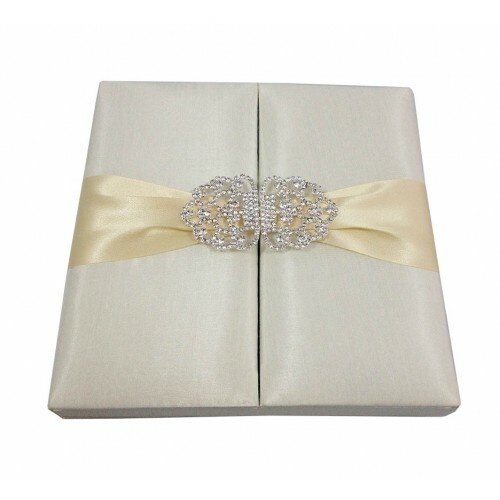 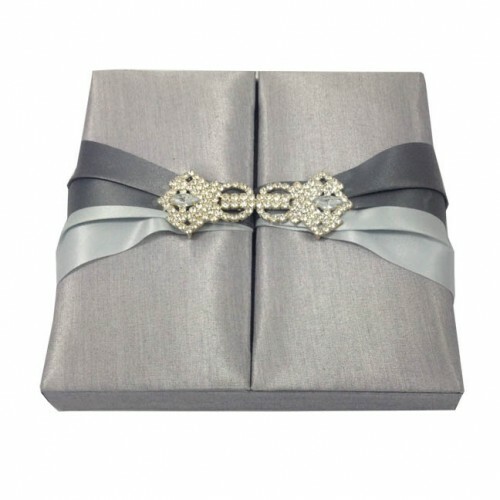 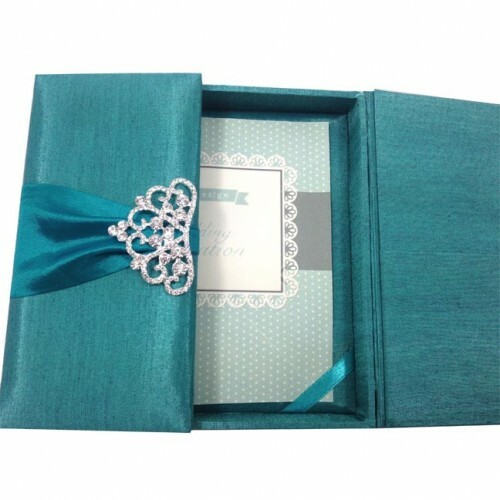 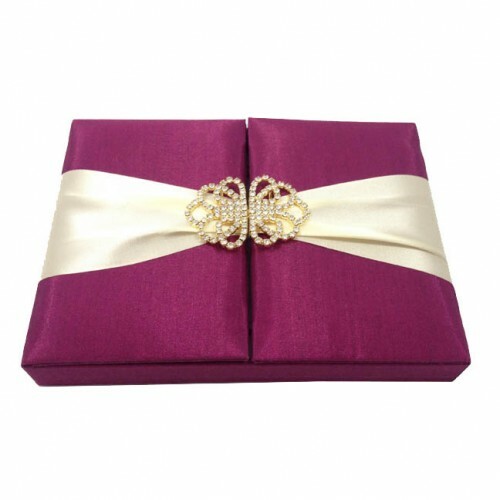 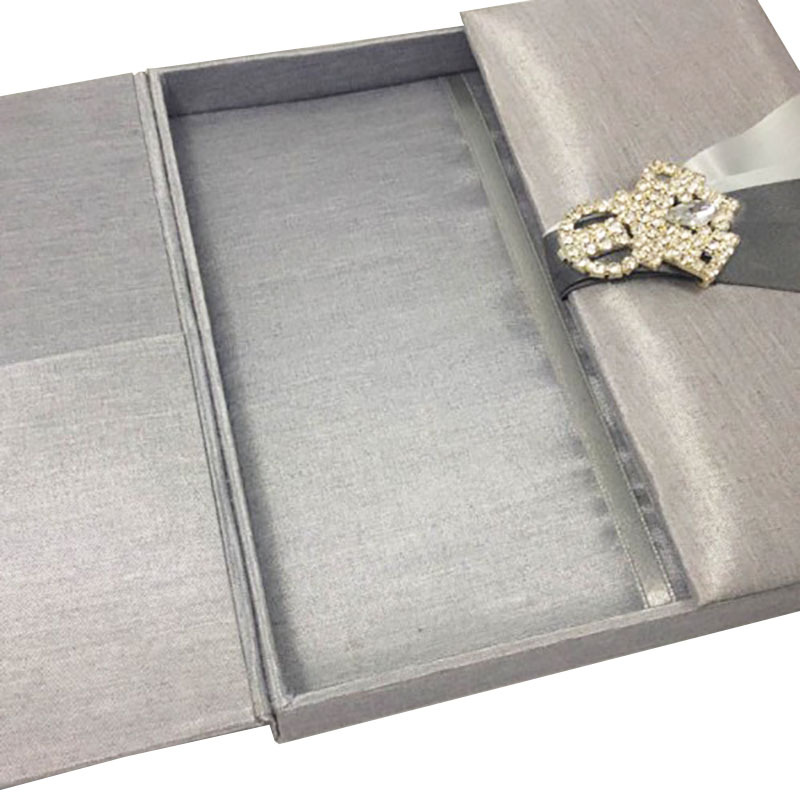 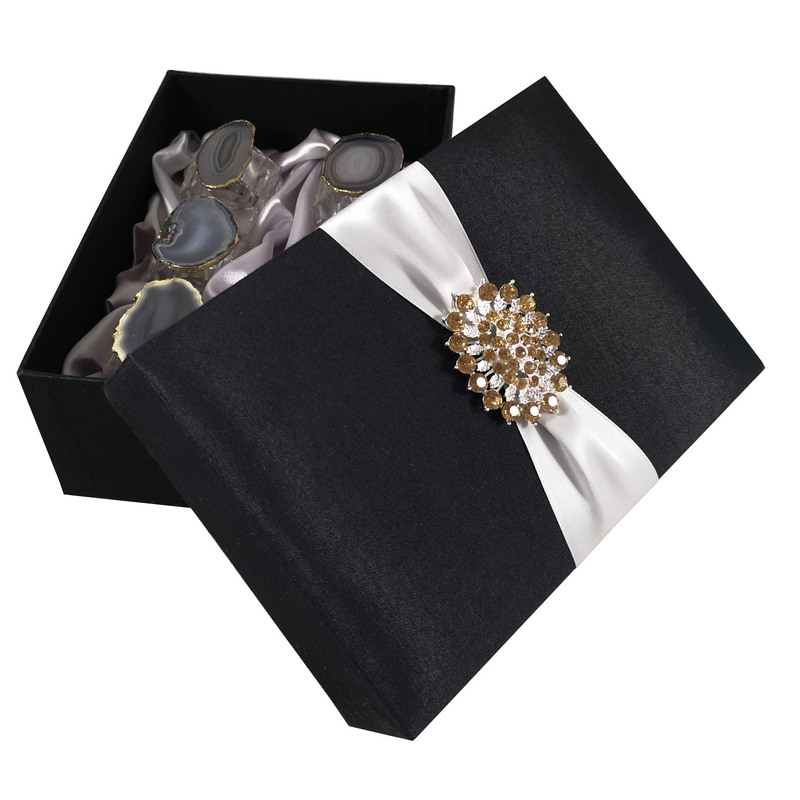 Silk & rhinestone are the main elements that make this high end boxed wedding invitation special. 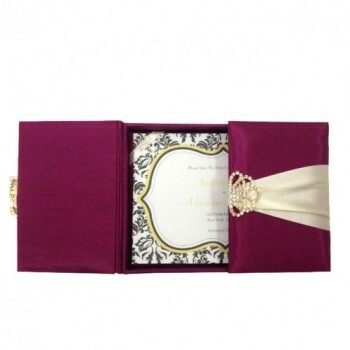 Our boxed couture invitations are along the most famous designs featured in our collection. 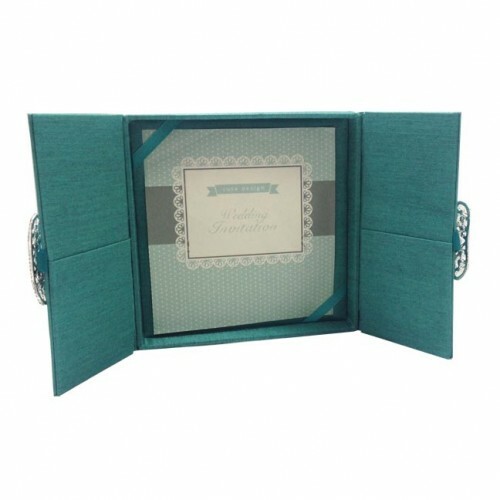 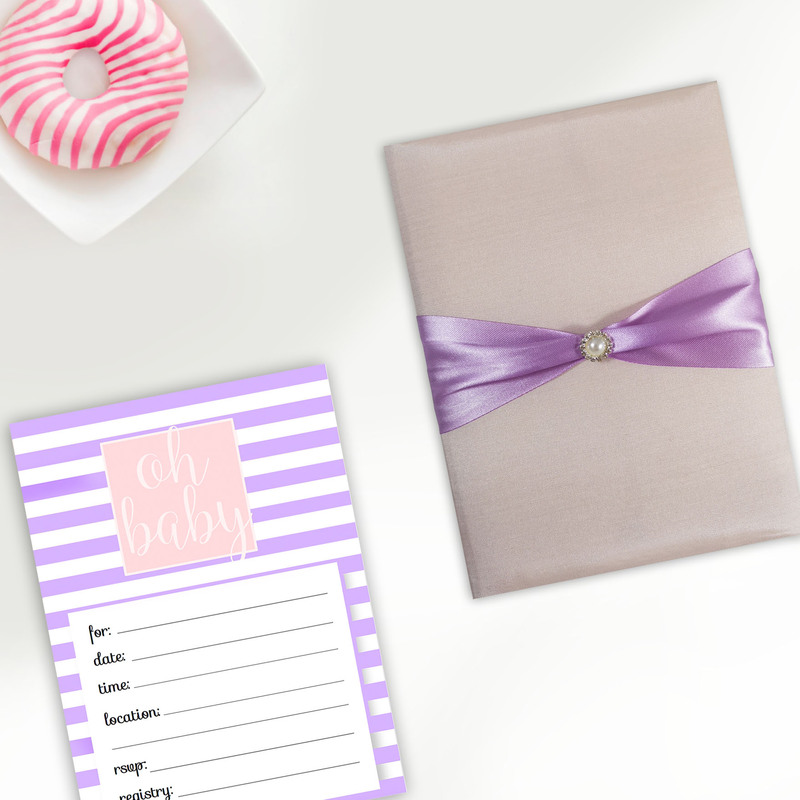 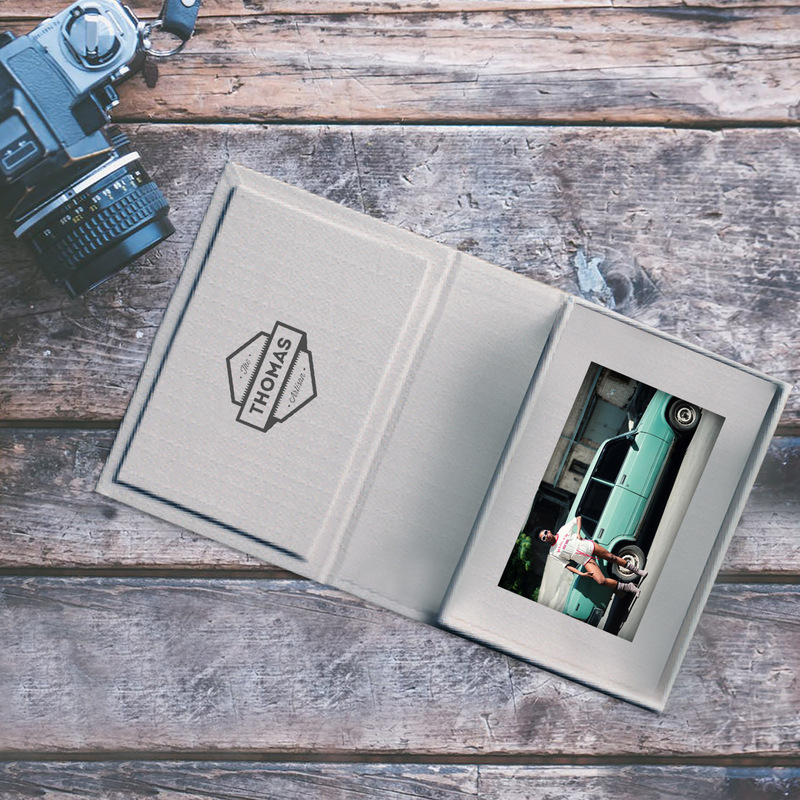 Make your event outstanding by choosing one of our various invitation designs. 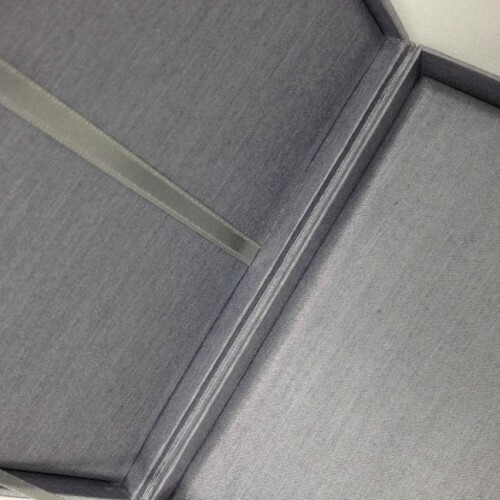 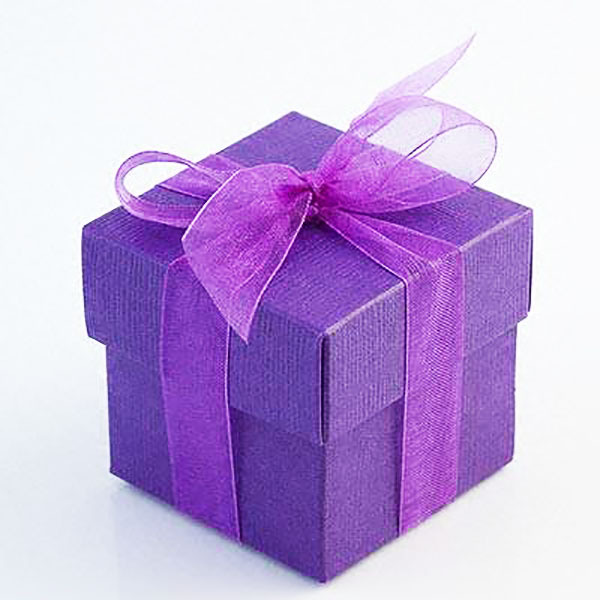 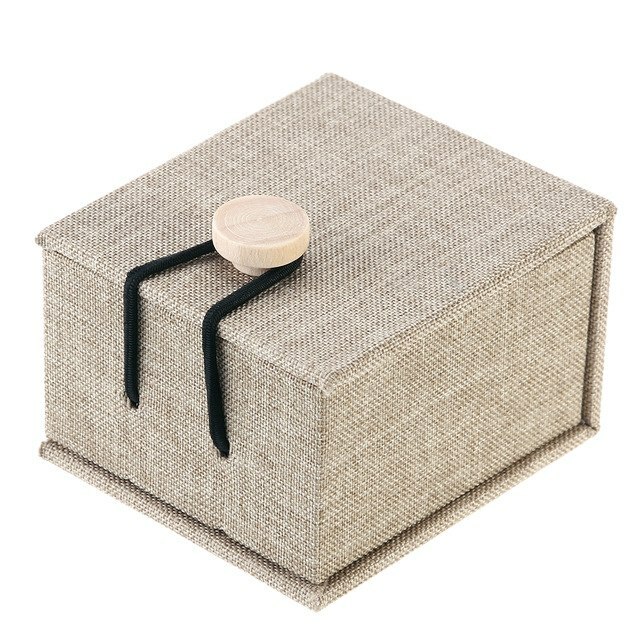 The box is padded inside on the bottom and the outer top is padded. 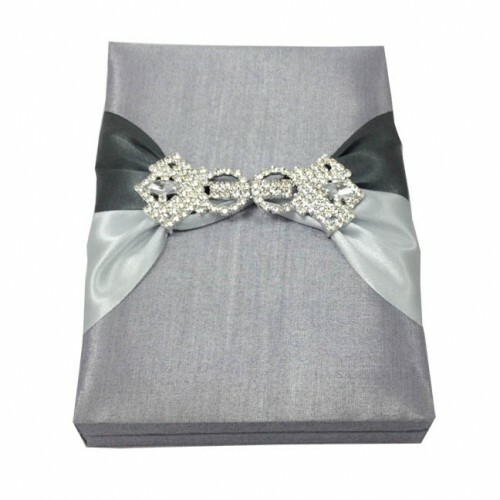 Pockets are used for RSVP cards, additional satin silk ribbon holder on the corner keep the main wedding card in place. 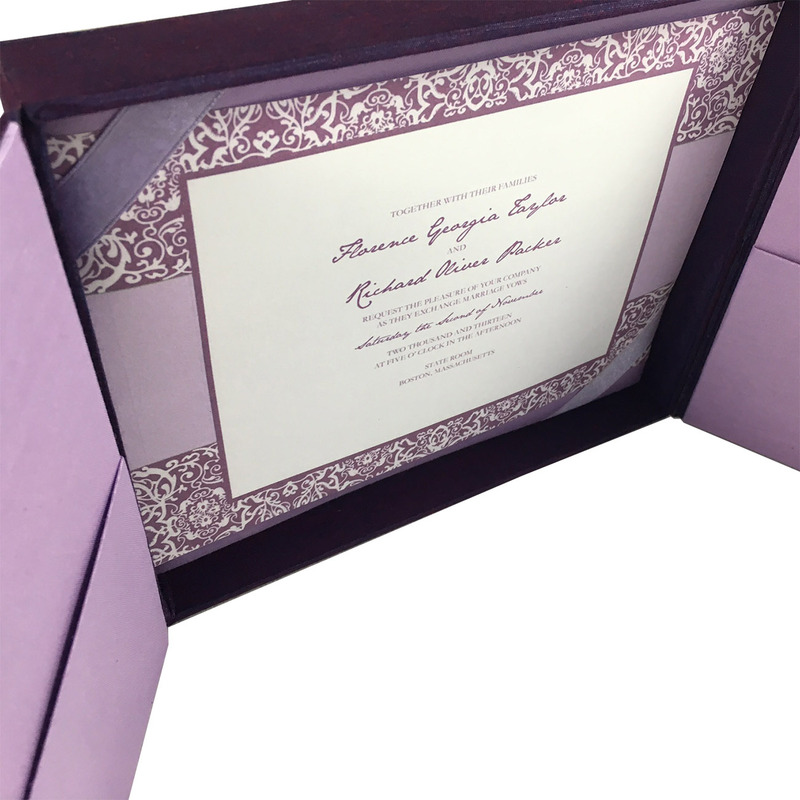 Clients can order this high end invitation in their favourite color and size. 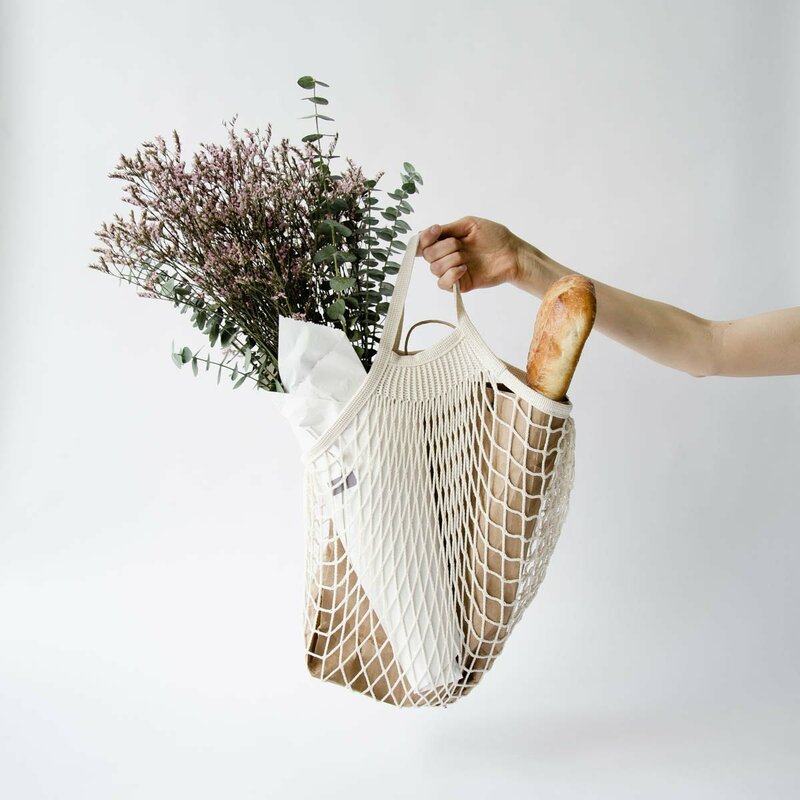 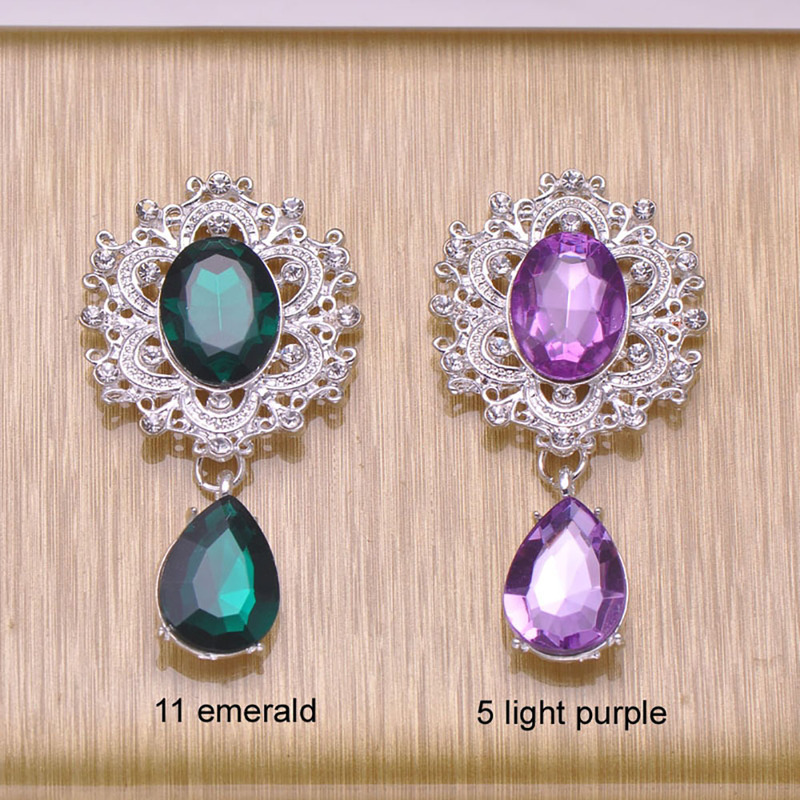 Contact us for wholesale inquiries or discount rates for large volume orders.